Catholicos-Patriarch of All Georgia Ilia II has said he hopes that autocephaly will soon be granted to the Ukrainian Orthodox Church, according to Verkhovna Rada Chairman Andriy Parubiy. "We had a long conversation about the path of autocephaly. He [Patriarch Ilia II] says that this is not an easy path, but he hopes that this path will be passed, and the decision will be positive," Parubiy said after a meeting with the patriarch in Tbilisi on Friday, October 5. When asked whether the Georgian patriarch spoke about pressure from the Russian Orthodox Church, the parliament speaker noted that they had not discussed this issue. 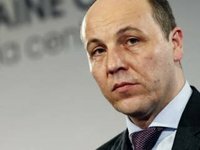 "However, we know that the day before yesterday a letter came from Moscow Patriarch Kirill, in which he calls on all the patriarchs to meet and discuss the Ukraine issue," Parubiy added.